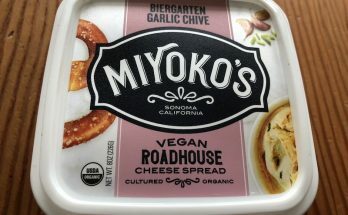 I honestly didn’t think Miyoko’s could top its amazing Double Cream Chive, but this one comes pretty close. 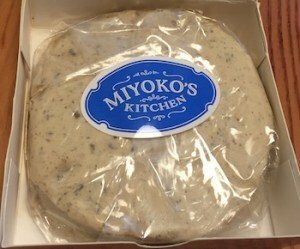 Winter Truffle is an exceptionally rich, creamy vegan cheese that is best described by Miyoko’s Kitchen: “An elegant, woodsy, and earthy wheel marbled with truffle-scented mushrooms. 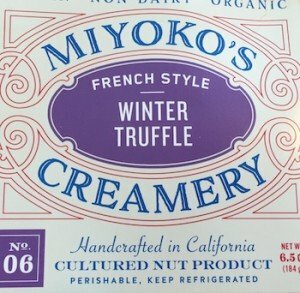 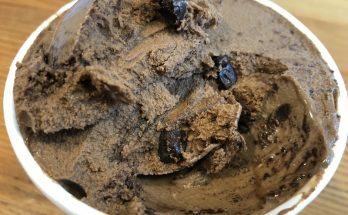 Explodes with deep umami flavors in a luxurious creamy base.” This description is spot-on. 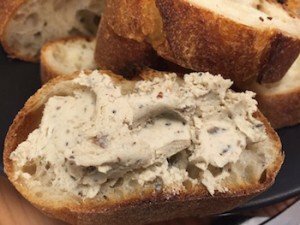 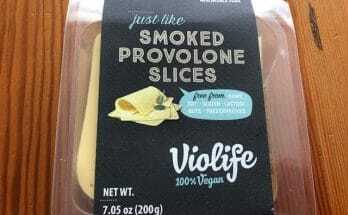 We enjoyed this on crackers and crusty bread, but it would also be delicious mixed into pasta or risotto. 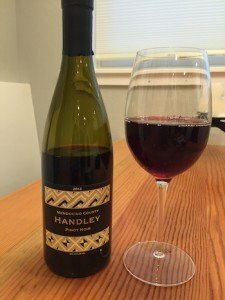 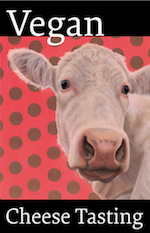 And, this cheese goes very well with this lovely Handley pinot noir — also vegan, of course.